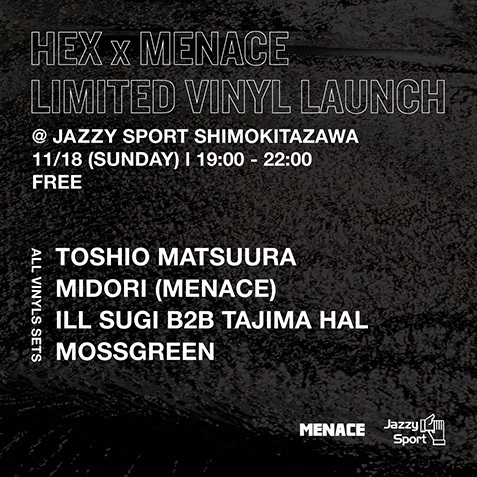 Toshio Matsuura Presents HEX (MENACE l MNC004), a 2xLP printed by hand (front jacket), limited to 500 copies worldwide and already sold out from many shops around the world. It will possible to buy the record during the event, limited to one per person. Copyright © 2016 Jazzy Sport All Rights Reserved.